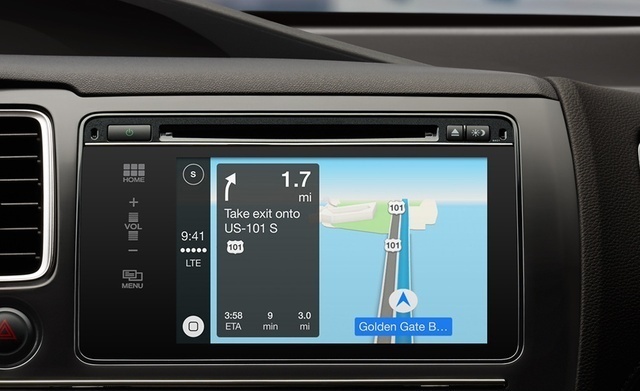 Earlier this March, Apple finally announced and confirmed CarPlay, which is the long-awaited ‘iOS in the car’ project you possibly heard about. Because the lifespan of a car is so long compared to the life cycle of digital technologies like phones and the software they run, the challenge is to create a smart in-car infotainment system that can stay up to date even as your car ages. And so, the battleground is set for the mobile tech world just maybe this time with an “auto” attached to it. With the fact that most of the big names in the auto industry already have their own systems, it would be a worthy question to ask about what Apple brings to the deck that makes things different. Obviously the technology is not new; and we’ve already seen several cars natively running Android and offering some level of integration with Android smartphones. 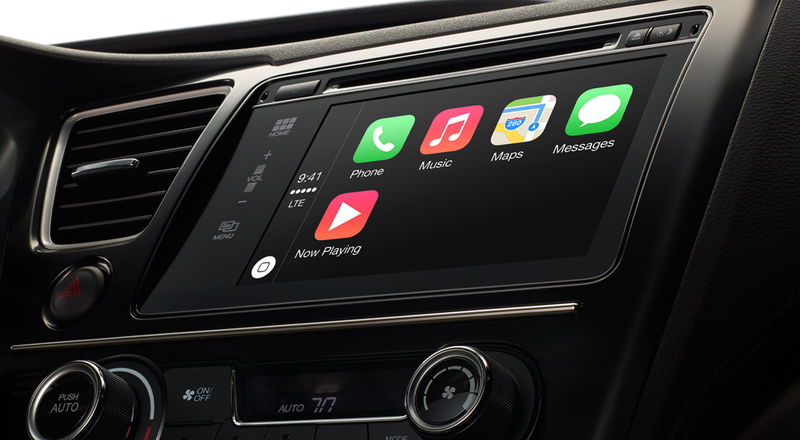 “CarPlay has been designed from the ground up to provide drivers with an incredible experience using their iPhone in the car,” said Greg Joswiak, Apple’s vice president of iPhone and iOS Product Marketing. We will take a moment to explore CarPlay thus, giving you what to expect from it. First, and maybe most importantly, do NOT let the pictures fool you. 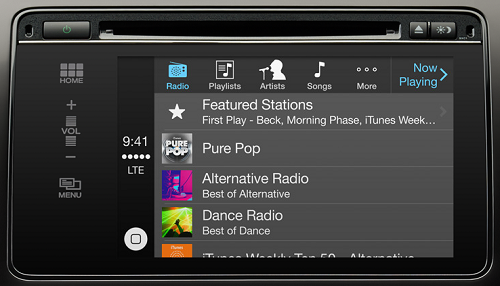 CarPlay is not an in-car system that runs iOS or iOS apps. It’s a system that integrates your iPhone apps with your car’s digital systems, allowing you to control them and your device an an easier, tech-savvy manner. The idea is that you plug your iPhone into your car via USB, and viola! You can now use the functionality of your iPhone without having to fumble around with it and take your eyes off the road. Take a moment to imagine how safer and more convenient that could be. CarPlay aims to empower you to use all your iPhone’s functionality without actually touching it. So that includes playing your music, navigating to the shops, taking phone calls, reading text messages and even watching YouTube videos which you would be able to do from the start. In theory, there are no limits to the interplay. Perhaps you’ll even be able to turn your wipers on and off simply by talking to Siri or unlock your vehicle using your iPhone – but that’s a way off even if it’s possible. And For those who love to play around by “having a conversation with Siri” well, your dreams are as here as technology would possibly have it. The CarPlay interface takes over the car’s LCD when the phone is plugged in, with all processing running on the device. Much like the iOS interface, CarPlay shows app icons, although in a bigger format. Once upon a time, cars had increasingly featured USB ports that let you plug in an iPod, iPhone, or iPad with its white cable, and control music playback using the car’s own touch screen LCD or dashboard controls. With this integration, you can browse music by artist, album, genre, and track, select something, and play it. Siri voice control: just press and hold the voice control button on the steering wheel. Touchscreen: If your CarPlay-equipped vehicle has a touchscreen, you can use it to control CarPlay. CarPlay also works with the knobs, dials, or buttons in the car. If it controls your screen, it controls CarPlay. Apple’s plans to have third parties building CarPlay compatibility into their apps, making them usable through the system. Apps like Spotify, Podcast, Stitcher and Beats Radio are already confirmed and with access to all their online library features, that long and easy driving entertainment is guaranteed. No! No!! NO!!! Siri on CarPlay can NOT drive you home. Why? Because it cant! All it can do is give you turn by turn directions with audio cues using the Map app from Apple. You would also like to note that ONLY the iPhones with the lightning connector (iPhone 5, iPhone 5c and iPhone 5s) are compatible with CarPlay so, those with the former 30-pin connector would finally have to consider that upgrade. Also no plans have yet been officially announced for an after-market version of CarPlay; which means that unless you buy a car which has CarPlay compatibility installed (of which there are none in existence at this time), you cannot have it. Cars with CarPlay functionality will be hitting the streets later this year, with models from Ferrari, Honda, Hyundai, Jaguar, Mercedes, Volvo and many other big names in the car industry who are also committed to support the CarPlay platform. So, with that much said, what do you think about it? 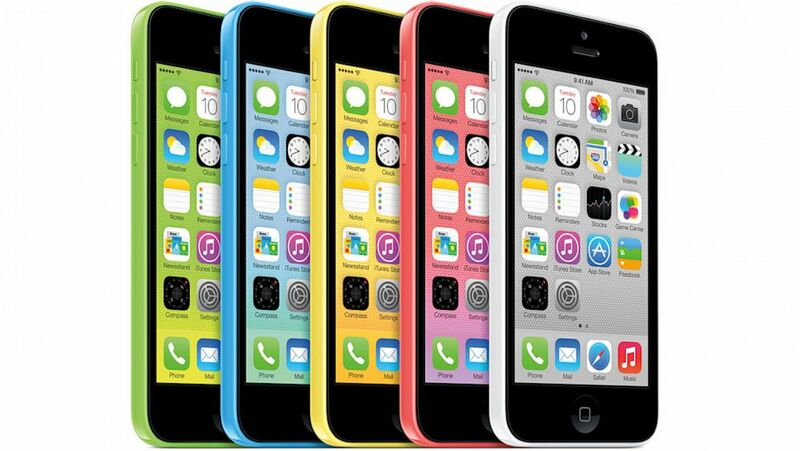 After weeks of rumors, speculations, leaked photos and parody videos, Apple’s new iPhones were finally revealed on September 10 and as widely expected, the company announced two devices – the iPhone 5C and the iPhone 5S. Apple has discontinued the iPhone 5 for the iPhone 5c, which sports a 4-inch display, as well as the same A6 chip. The company has gone for the cheaper option in producing the “next generation” iPhone as it now features a plastic wraparound back which comes in five colors — green, white, blue, red, and yellow — with matching screen wallpapers to complement the exterior. The color set has been commented on as being similar to that of the Nokia Lumia series but we would leave that opinion for you to explore. Yes, after these, there is not much to say about the iPhone 5c; it even has the same 8 Megapixel camera and 2 Megapixel on the front. You might as well tag it as a “plasticky” colored version of the iPhone 5 and to be honest, when I think about iPhones sometimes, I cannot help but also ponder about the native proverb that says that only a mad man does the same thing and expects a different result. Apple’s new flagship iPhone 5s which Apple “humbly” calls the “most forward-thinking phone anyone’s ever made,” sports a 64-bit A7 chip making it to the history books as the world’s very first 64-bit mobile phone. 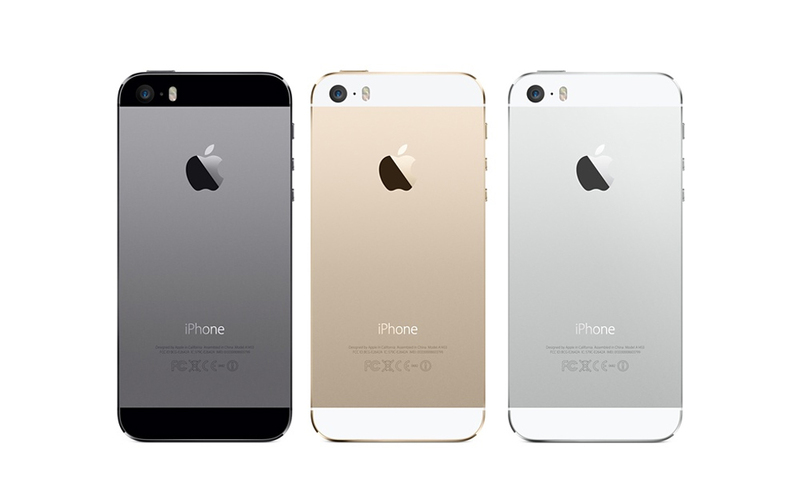 It’s made of high-grade aluminum and comes in silver, gold, and gray. For networking it has a dual band 802.11a/b/g/n WiFi and Bluetooth 4.0 which was also available in the discontinued iPhone 5. The general features are pretty much the same, except for the new Touch ID fingerprint sensor that grants up to 5 fingerprints to access the phone. This feature takes phone security to a whole new level. 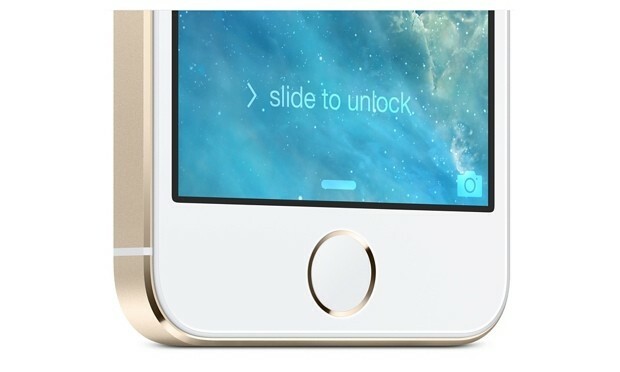 The touch sensor, located under the traditional home button also links you to your Apple account which defeats the sometimes annoying type password feature. The iPhone 5S also offers a new “burst mode” for the still camera (taking 10 shots per second), where you can hold the button down and it will take the pictures – and then present the single shot it thinks is the best from the series. (You can still choose from among the set, and keep as many as you want). There is a “slo-mo” option for video recording where you can choose which parts which can be slow and which are fast in a simple editing function. Some people worry about how there can be a balance between the powerful 64bit A7 processor and battery life. Apple’s solution is the co-processor called the M7 which is specially designed to collect data from the phone’s various sensors, including the GPS and accelerometers. This M7 chip is suspected to be Apple’s flagship idea for a possible wearable computing future so expect to hear about it later on. 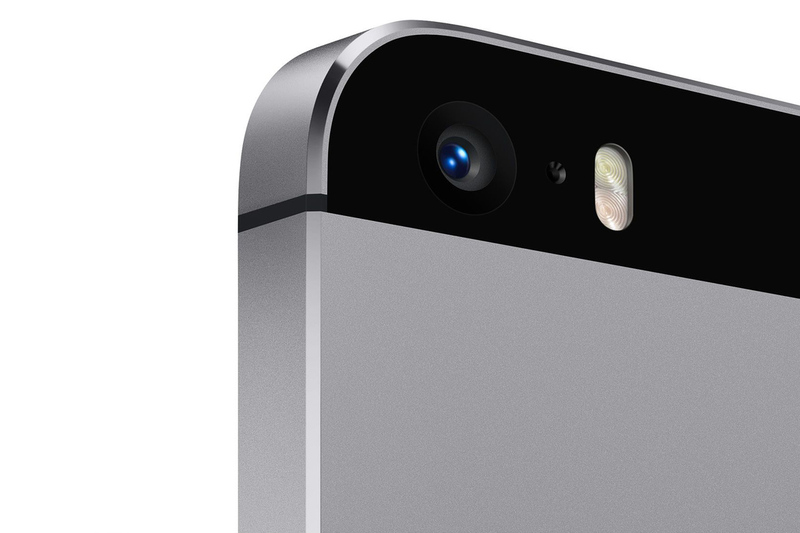 The iPhone 5s’ battery life lasts about 10 hours of 3g talk time and LTE browsing . Okay, to be honest, the title of this post really should be “why you SHOULD consider jailbreaking” because I am absolutely crazy about Apple and all of the intelligent things their devices can really do when pushed to their limit. Yes, just like you, I have been there once – stating the pessimistic cause that Apple devices are too expensive for what they are worth. But like the soon to be apostle on the road to Damascus, I have truly seen the light; and I am hoping you get to see the light too. So enough of my fanciful rambling. Apple devices, especially the iPad series, whether you like it or not, are rather expensive. You bought it because you heard so much about it and that it could (according to that advert) “do almost anything.” But later on, you discover that it’s just a luxury toy and that you don’t do too much with it except run a few apps you bought (or got free on the Apple Store), snap photos, surf the web, play Temple Run or Candy Crush and check e-mail. The question that everyone asks is “what can your device do?” and it can be depressing when you boast of an iPad that doesn’t exactly do as much as you say. Well, many have heard of this somewhat “evil” process called jailbreaking; and in some communities, jailbreaking is actually frowned upon – but this is usually because people do not know what it really means and the fact that jailbreaking voids your warranty with Apple. Let’s save all the technical stuff about jailbreaking for a later post and cut to the chase: jailbreaking actually allows you to do lots of stuff your iPad really could do but wasn’t allowed to (which is why it’s called “jail-break-ing”) and on this post, there are 10 reasons why you could (or should) consider jailbreaking your iPad. This is as the saying goes; and trust me on this. Doesn’t the grid interface of the iPad, iPhone and Ipod touch just bore you… even just for some time? Well, a jailbroken iPad is spoiled with numerous tweaks and add-ons that could possibly make all of that boredom go away. Winterboard allows you to change key features of the grid interface like its icon layout and color while maintaining its base structure. To mention how many compatible theme packs are available for Winterboard is akin to counting how many fishes there are in The Pacific. Dreamboard takes this concept several steps further by changing the entire layout. Just imagine your iPad looking like a Windows 8 desktop (without the live tiles) or like an Android Galaxy Tab! Do I have your attention now? Tweaks such as Beekeyboard allow you to bring a whole new keyboard experience featuring customizable shortcuts and add-ons to apps. Imagine using a keyboard shortcut to open new tabs on Safari… and that is just the beginning! Colorkeyboard is another tweak that even allows you to change the layout of the virtual keyboard. Unlock the fashion sense in you with numerous color combinations of themes and color fixes out there… most for free! Now, is it possible for me to have Apps for free? Well, even though we at Nijaspecs would always encourage that you support developers and buy your apps (except they are given free), it is VERY possible to have almost any app you want for free. But they MUST be cracked. Don’t worry about iTunes with installing cracked apps; there are other Apple based device managers such as iFunbox, 91 PC Suite for iPhone and iSpirit that can do that for you. 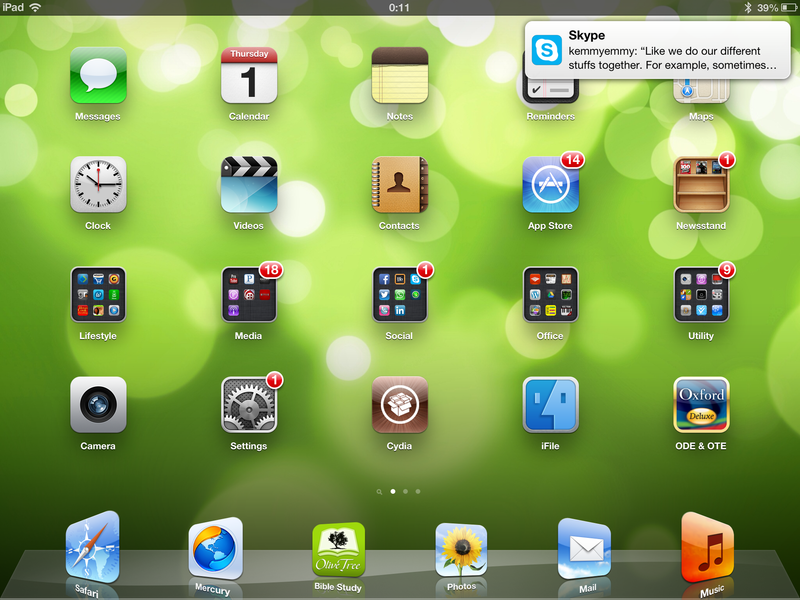 It is also possible to just download the app you want and install it live from the iPad without a PC. More details about cracked apps and what to know about them will come on a later post so stay with us. Furthermore, there is a fun tweak called Password Pilot that helps you save your Apple password so that you would not need to type it once again whenever you want to purchase an app… but be careful about how you use that though. 3. Locked out of a “luxury pad” …you paid for? Whenever I think about a non-jailbroken iPad, I think about a house that I paid good money for and yet, I do not have the keys to all of its rooms. Having access to a mobile device’s file system is a good way to let the user become able to completely destroy the device; but it also allows you to put and organize your own files EXACTLY where you want to put them. Of course, you should be aware that you should not just go about putting files where they are not meant to be in – but you get the point. Big Boss’ unrivaled wonder jailbreak app called iFile brings to you your complete file explorer service. And when I mean complete, I mean complete: with a built in pdf reader, music player, web viewer, Bluetooth transfer service, file unzipper (including 7-Zip… yes; 7-Zip! ), and support for almost every popular filetype. Are we saying that the iPad could now be used like a mobile flash drive? Well… almost a big yes! App security on the iPad? Of course! I can choose the apps I don’t want anyone to open and even disable it’s ability to be deleted; DisableLaunch makes this possible. Barrel allows the boring page swipe to become more interesting with new swipe animations. FolderEnhancer also lets you to put folders within folders and yes – add custom folder background and animations. Now if you are okay with the fact that you can only place videos on the iPad using iTunes and having to convert them to some weird mp4 format, skip this one. But of course you aren’t! Well, besides apps available such as AV Player and CineXPlayer on the AppStore that allow other formats, there is the infamous ProTube which even allows you to download videos directly from YouTube on demand. Be sure that the missing YouTube app in iOS 6 would not be missed! The best part is that you would also be able to manage the videos with your computer with the help of your file explorer application and iFile. Imagine the possibilities!! Take full control of the iPad’s mail app with tweaks like SplitMail which allows the split view enabled on the iPad on portrait mode. There is also Mail Enhancer Pro which takes your native mail app to the next level with customizable signatures, mailbox color coding and believe it or not, have a voiceover that tells you who just sent you mail. But i think what’s coolest is that you are also able to backup and restore your email on Dropbox through this tweak. AnyAttach does just like it says, allows you to attach anything on your iPad as mail; just think about the possibilities with this, especially when you have iFile under your control. 7. Browser extremes: Download manager on an iPad? Now this is the real killer. What if I told you that you could actually download your local files from anywhere just like you would on a PC and save it to an accessible point on the device? What if I told you that your Safari browser could have a file download manager and upload client? Notwithstanding, there are other browsers like Maven and Mercury which have file download services but the files you get would not be easily obtained or transferred without jailbreaking. SBSettings gives you a quick drop-down menu for a variety of system toggles such as restarting the device without the power button, airplane mode and others. It even acts a a task manager that gives you information about which apps are running so that you could free up memory – just like a task manager for windows. 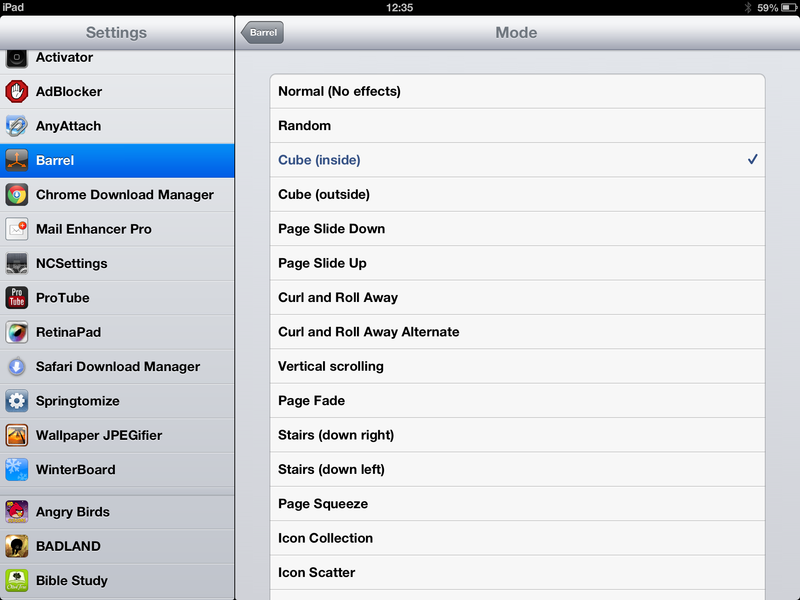 Activator allows you to add more gesture shortcuts on the iPad. Imagine opening your favorite app with a swipe from the extreme left, or triple click the home screen to open Maps or any other app! Emblem puts your Notification Center to mimic that of the OSX (which feels great on the iPad trust me on this), Mountain Center goes further on the OSX lane, by taking your drag from the top Notification Center to the left or the right; whichever you choose – like the OSX. The best thing about it, is you can also choose which gesture should bring it forth. NCSettings is a powerful variant of SBSettings that puts all the settings toggles on the Notification Center so brightness, Wifi, 3G, GPRS/EDGE, Bluetooth, Power options, portrait lock and other options are readily available. A must-have for the iPad. 9. The issue of what you want; the way you want it. Tired of the four or five icon Dock at the base of the iPad screen? InfiniDock allows you to put as many as you like; just like OSX! IntelliScreenX supercharges your once boring lockscreen with your Notification Center information. Bridge takes care of the iTunes restriction; never again would you be forced to need iTunes to import your music, ringtones or podcasts. NoNewsIsGoodNews kills the forced and rather unnecessary Newsstand folder. Did you like the BB10 keyboard? well knock yourself out with OctopusKeyboard which brings word predictions as you type on the iPad; and if you think that is crazy, try Swipeselection which even enables you to swipe your text cursor to the exact place you need it whenever you are editing on the iPad. This may sound strange but you should try it; you would probably never go back to the default method. Like you probably already guessed… or know, emulation is possible for the iPad also. So, if there were titles you could not just let go of back in the day, you can get them and play them on your device. From SNES, Gameboy, to even the Sega Genesis; make your favorites always available. and now, the + 1 reason called Springtomize 2! …and this is how your iPad would never be the same again. This is really no joke. There is now a full blown Microsoft Office App for the iOS. The rumors have finally ended – it exists. Now where do we go from here? Yes! As you probably guessed – back to the apps you were using earlier to run your document creation / editing needs. It looked promising to us at first (to be honest). No one could help but wonder how Microsoft was planning to place the Office on the iPad. After all, the app would have to impress a lot more than the forefront document editing apps such as Google Drive, Documents-To-Go and Quickoffice as well as a host of others. With the numerous sync properties these apps have over cloud services, and various desktop experience offline features, we were hoping to have the Redmond software giants deliver something, maybe not above and beyond what we have seen, but something different anyway. Well at least we did get something different. The problem of course, is what we got. First and most important to mention is the fact that to use it, you need a paid Office 365 subscription. This is the “ah-hah!” light bulb moment: there had to be a catch about why Microsoft would go ahead to make Office available on “enemy territory.” Then again, that also tells you how serious Microsoft is about making bucks out of every single opportunity available. Now, before you Office 365 subscribers get on to get the app, you might also want to know that it is currently restricted to the United States (although there are ways around that), and annoyingly, there is not yet a version for the iPad. In plain English, the app is designed for paid Office 360 users in The United States who have an iPhone. So don’t let the free Microsoft Office app on Apple Store fool you if you do not meet up to these requirements. There are a number of things one would wonder about concerning this and we would leave you with one. The only thing Microsoft could possibly boast of, in our opinion, is that “Documents look like the originals, thanks to support for charts, animations, SmartArt graphics and shapes. When you make quick edits or add comments to a document, the formatting and content remain intact.” But free cloud based office apps like Google Drive already allow you to access and create documents, presentations and spreadsheets in Microsoft Office format. Even paid for offline apps such as Documents-To-Go and Quickoffice even have several cloud based service sync abilities with the likes of Evernote, Dropbox, SugarSync and others. So um… why do we need this exactly? We don’t know if there is anyone like us out there but whenever we update iOS to a new firmware, We have always secretly wished for and ultimately been pissed at the lack an important feature that usually makes things seem new and exciting with software such as operating systems: A COMPLETE VISUAL MAKEOVER!! Microsoft Windows at one time used Windows 95 and then at the release of Windows XP, the new looking interface was a winner. Windows Aero was released with Windows Vista and has been a continued standard even with the newest Metro interface for Windows 8. It is true that functionality and stability are essential, uncompromisable qualities of good operating systems but nobody would complain if a good looking graphical user interface came along with it. Sure! Thanks to jailbreaking, Cydia allows us to make some color (and even complete) theme changes but something new had to come out some time from Apple at least some day-y-y-y! That being said, it’s not like Apple’s iOS actually looks ugly; but maintaining the same general outlook over more than 10 updates and over 5 versions would have to become more or less a tiring rhetoric, a trite expression or well… in plain English… rather boring. Apple, finally releasing its beta version of iOS7 earlier this month for developers has finally showed us that their new update is none of that. Apple has finally worked at changing just about everything, but like the Windows 8 OS to which iOS 7 is now drawing comparisons, thanks to the bold colors and straight lines, it feels a little too much, too soon. 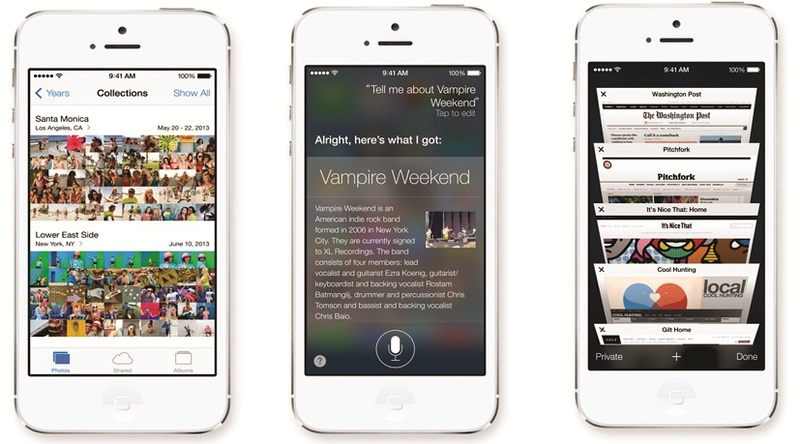 But nevertheless, iOS 7 just for that, is welcome and iOS 7 would be released this fall. From previous experiences, beta versions of Apple software are bound to change a great deal before they get approved for consumer devices. So far so good though; iOS7 has been said to deliver pretty much what we already know about iOS and even more. There’s a lot of new stuff to love about iOS7. 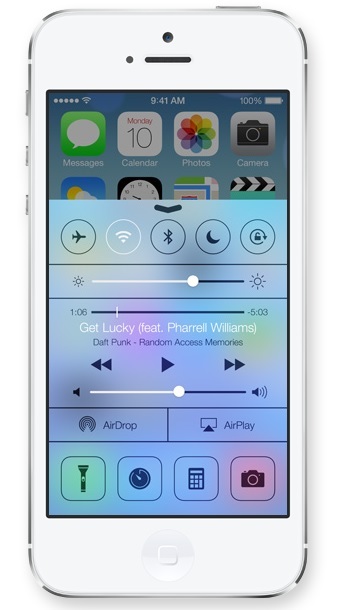 There is now a Control Center which gives you quick access to the controls and apps you have been using. With just a single upward swipe on the screen, the Control Center can also turn toggle Wi-Fi, adjust screen brightness and start a flashlight. The Multitasking app-switcher has also been completely revamped with new features. There is a new lock screen, a revisited notification Center, a super-charged Siri, a new, easily-accessed quick settings bar, and pretty much every app you can think of has been revamped and stripped down to its essence. There is the new AirDrop which allows near field communication between iOS devices around. Can somebody shout hallelujah to that? 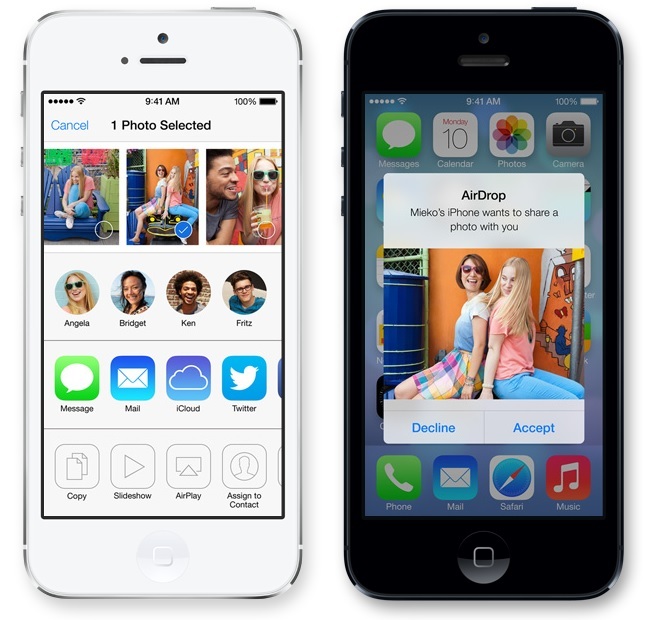 You can finally share photos, videos and contacts using Wi-Fi and Bluetooth – but with iOS devices. At every level, iOS 7 is a slick revitalization, rejuvenation and resurrection of the core iOS experience. Even Safari gets a brand new look with a refreshed tab view and a unified search field. Safari can also suggest passwords for you but we sincerely wonder how much use that would be. The music and photo apps have also been revisited to make things more exciting and savvy. 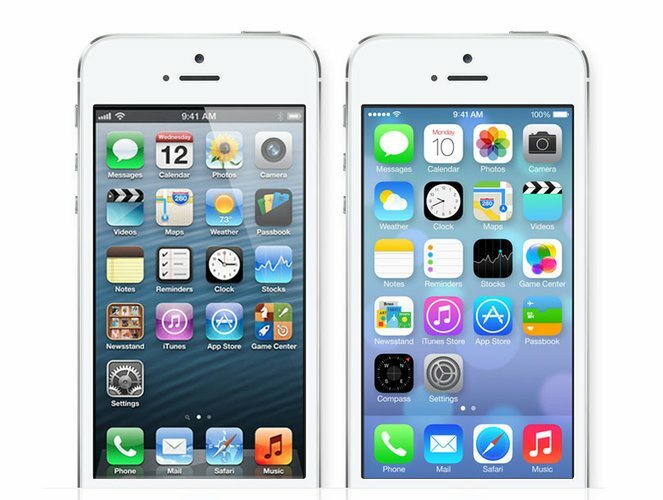 iOS 7 will not be compatible with iPhone 3gs as expected but will for the newer models inclusive of iPhone 4. For those who may have seen a link to download the beta version and cannot wait to have a go at Apple’s latest makeup session would have to be careful. This version of iOS 7 is intended only for installation on development devices registered with Apple’s Developer Program and attempting to install this version of iOS in an unauthorized manner could put your device in an unusable state, which could necessitate an out of warranty repair. And even though there are posts out there that mention a possibility of downgrading to iOS 6, on our opinion, we would recommend you DO NOT do the upgrade till the final version is released; unless you are a part of the Apple Developer Program. 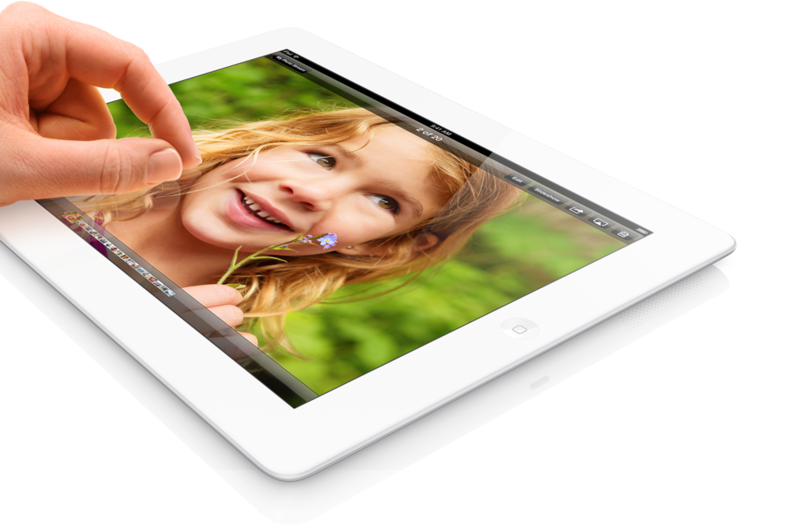 If you have ever thought about or heard about a 128gb tablet? Well, one of that is now available and guess what? It’s an iPad! 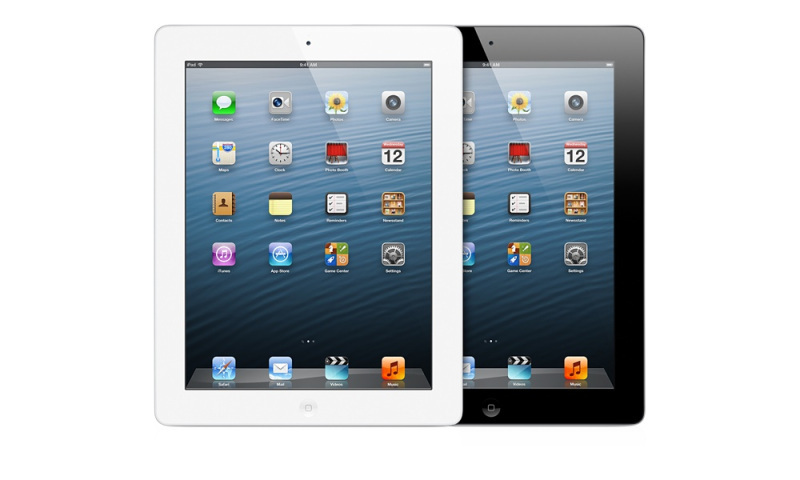 Technology giants Apple have played their 128gb iPad 4 with retina display last week which did not have too much of a blast-off release like the iPhone 5 or the iPad mini but is sure to keep everyone, except a shopaholic I guess, thinking about a number of things for a while. With the wifi only version for $799 and the LTE version sold for $929, it is clear that this is the most expensive price on an iPad till date – maybe even for a tablet so far. Even though the 128gb solid state drive is quite appealing, there really isn’t too much else that we have not seen before. Barely a couple of months ago, the iPad 3rd generation (a.k.a the new iPad) was harshly replaced with a new iPad 4 with a chip twice as powerful as the earlier and the new “lightning” port. Between the transition from a 16gb iPad 3 till this new release has come another iPad, and even another type of iPad called the iPad mini. All in a space of about a quarter of a year. Like was earlier mentioned, it’s really nothing else but the storage upgrade. The Apple AppStore actually does own an extremely large collection of applications to keep anyone’s Apple device busy; and maybe the space update would serve enterprises, educators and professionals who need space for capacity consuming content. However, with a price tag reaching close to a thousand Dollars, even Apple fanatics would have to admit that this might be… just maybe… a bit too much. The prevailing thought would most likely be why you would spend all of that when you could get even better hardware and storage space with a laptop or a netbook. Speaking of Apple, the 11″ MacBook Air costs from $999 and it is no news how much power can be invested in a laptop considering that price tag. Is the extra cost really worth it for just extra storage? Actually, a 128gb iPad would serve useful for those who wished for more space on their 64gb iPad. I really wouldn’t mind one actually; and neither would you if given the option to buy. That is probably because of the exceptional quality Apple has raised over the years with their rather expensive (but actually nice) range of mobile tablets. 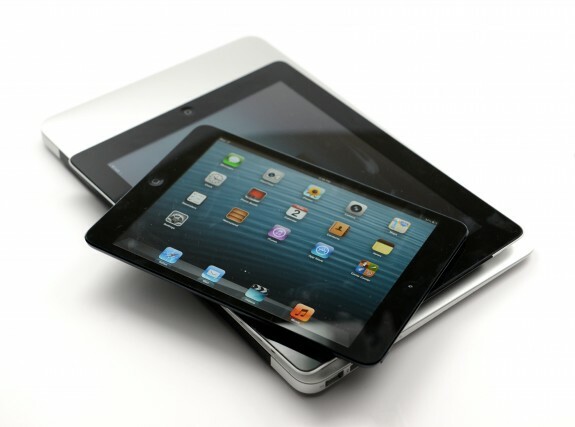 Truly, there are other great tablets out there; but an iPad would always be an iPad… almost like in a class of its own.